Today was the Eastcote Horticultural Society Summer Show, held at the Community Centre in Southbourne Gardens it is one of three shows held throughout the growing season and an opportunity for all Society members to exhibit their plants, fruit, flowers and vegetables as well as crafts, floral art, baked goods and photography. 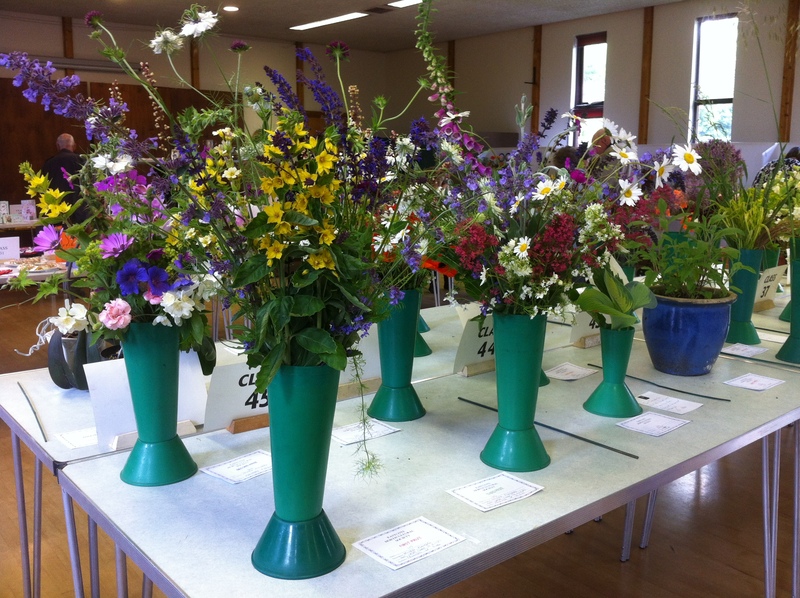 As you can imagine fruit and vegetable categories were a little challenged given the unseasonal weather but the floral displays were stunning. Class 45; mixed flowers, not less than three kinds. 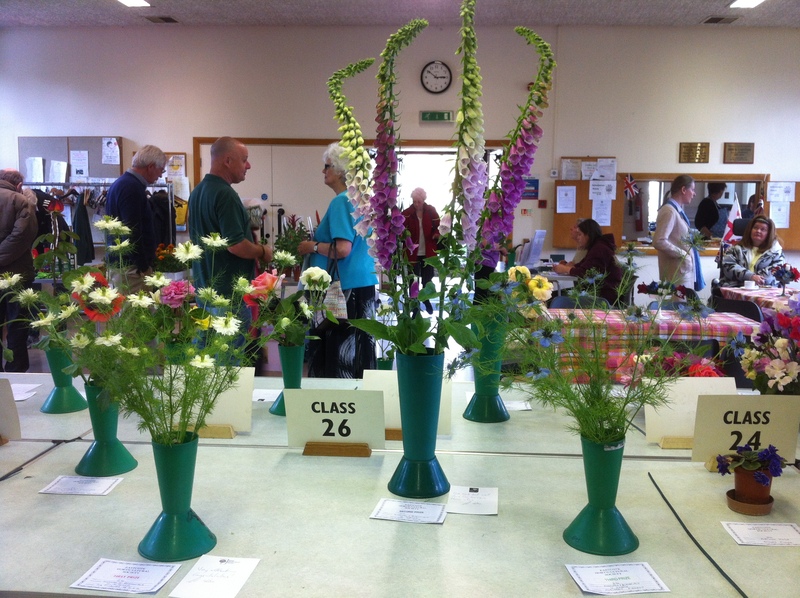 Class 14; sweet peas, in your own bowl arranged for all round effect. From Bob Beales. 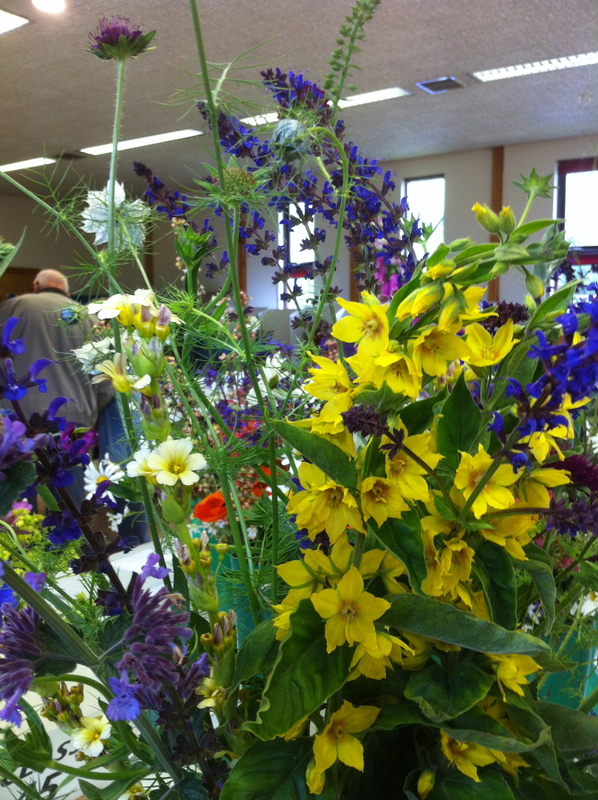 Class 26; annuals and biennials, four stems, one kind. 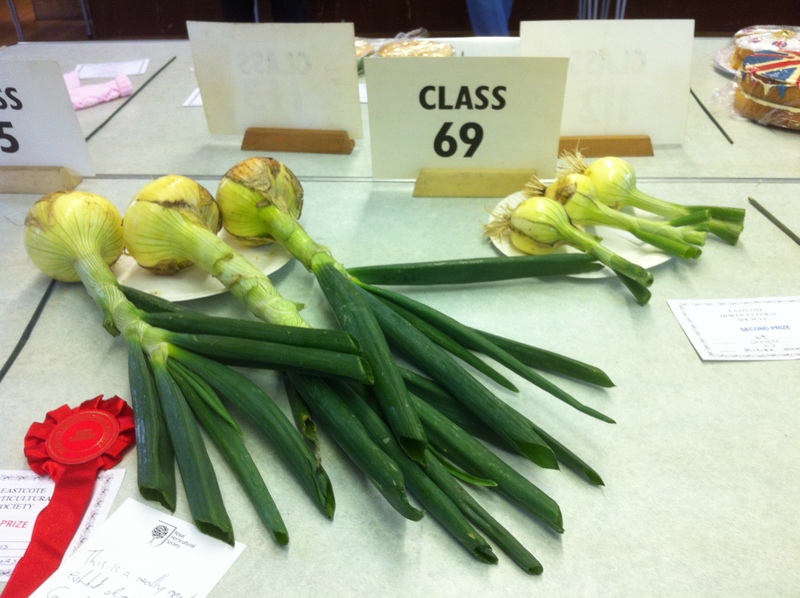 Class 69; three harvested onions. From Patrick Hookway and Alan Thomas. 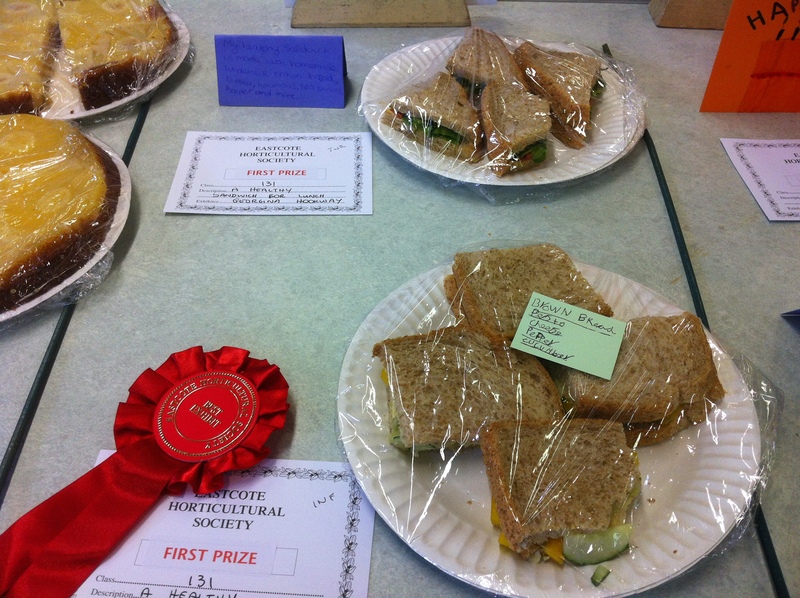 In the children’s category Class 131; a healthy sandwich for lunch. From Georgina and Joe Hookway. Joe and Georgina also made a pineapple upside down cake, a celebration card and a model of a tree. 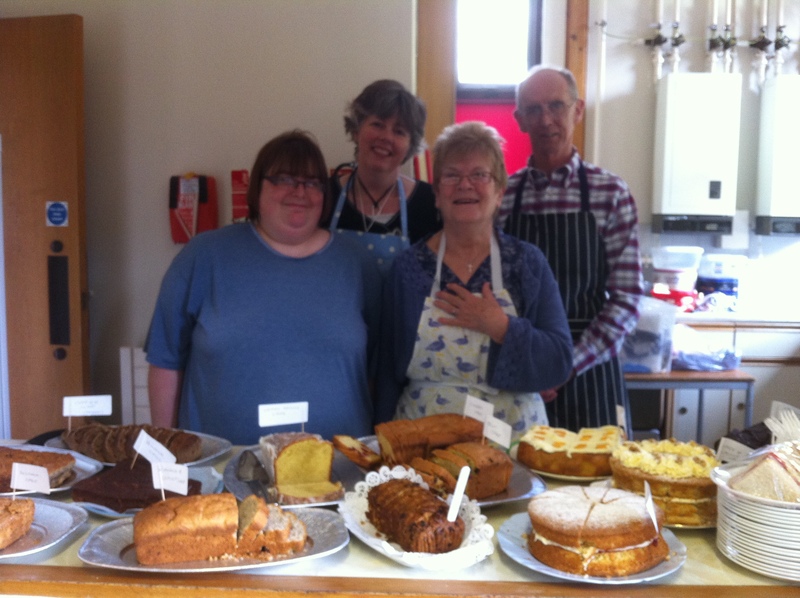 And of course the joy of lovely cake made and served by Tamzin Phillips, Margaret Porter and Anne & Michael Berrisford. 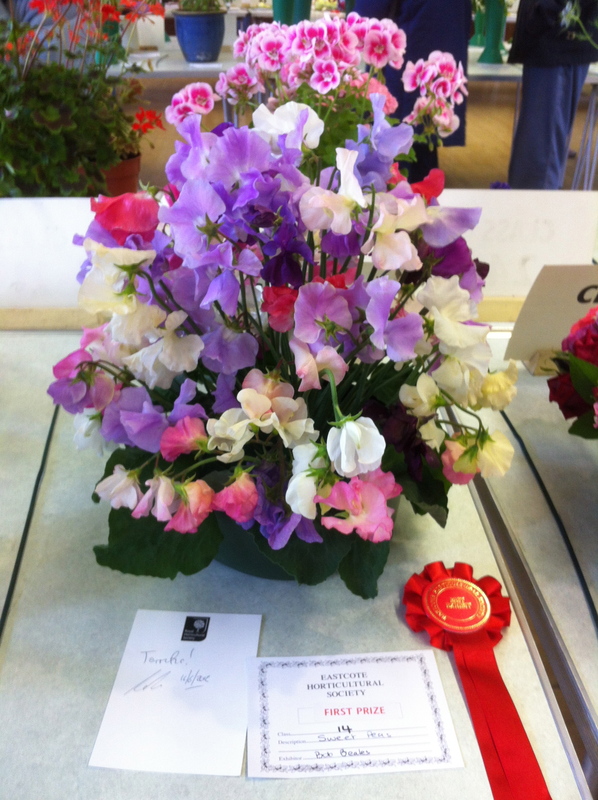 The Autumn Show is on September 8th and details of the categories can be found here if you would like to enter. I always enjoy seeing posts about local shows such as this. I love the shows. I’m not involved in the organisation but I gather it is a lot of work pulling it all together.